Tonight, last season’s champions and runners-up will enter a competition with an incredible financial stake considering their yearly budget and both CFR and FC Vaslui will give it all to reach the group stage of the Champions League. Unfortunately, a tough task awaits, with two preliminary rounds against tough opposition in front of them and a difficult first set of teams to knock-out. Kapetanos will pose a real threat, especially on aerial balls. 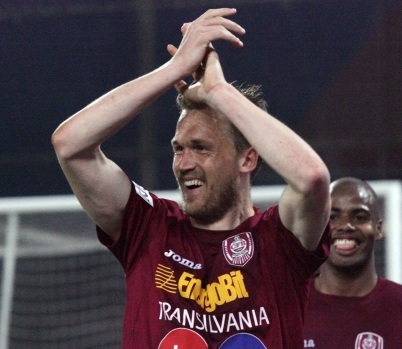 With two draws in the first two rounds of the season, CFR Cluj will face tonight Slovan Liberec, a team I saw quite a few times last season and relies on a solid, experienced back-bone, losing this summer one important piece of the puzzle: the enthusiastic right-back Theodor Gebre Selassie. Latest news from the opposition’s camp should be encouraging for the hosts, as Slovan will miss Nezmar and Rabusic, key players in defense and attack. CFR’s main weakness is at the back and coach Ioan Andone admits that “there are issues there that need to be addressed, but it’s good to see that the players are aware of this and refuse to celebrate properly even when they score a goal”. Andone fears Slovan’s striking force and highlights the Czechs’ scoring record from the previous season and he announced that in the first leg the main goal is to avoid conceding at home. 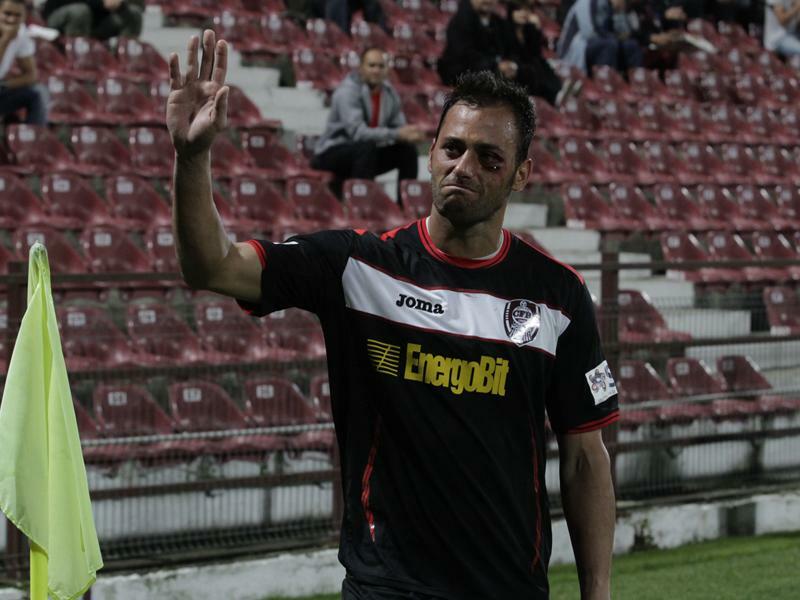 CFR’s main strength is the ability of Greek striker Pantelis Kapetanos to find a decisive strike out of the blue. He did it twice in Liga I so far and will be at the end of most of the Romanians’ attacking moves tonight. 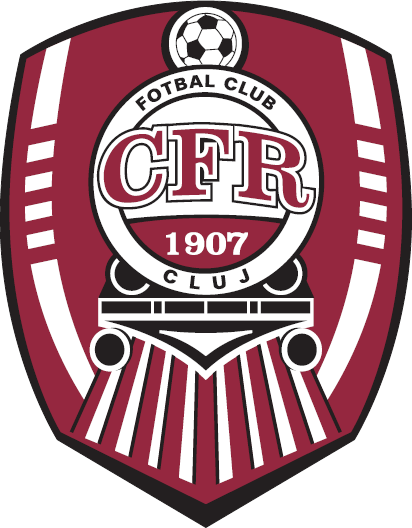 You can read more on CFR Cluj here. Sanmartean’s excellent skill on the ball could surprise Fenerbahce. FC Vaslui has a more difficult task than the champions, having to make its’ debut on Fenerbahce’s stadium, in a very hostile environment and against a strong and ambitious squad. Coach Marius Sumudica looks set to use his team’s main strength, the attack, in the away game, hoping that the goal(s) scored will make the difference after 180 minutes. “We are not in Istanbul to defend, we want to score!”, warned Sumudica, who started the season well, with a win and a draw, scoring 5 goals in the process. The team lost its’ star, Wesley (the Brazilian would have missed the first leg anyway through suspension), but has added some quality players to the team, having experience at both ends, thanks to goalkeeper Dani Coman and striker Marius Niculae. Vaslui’s main weakness is the lack of cohesion within a squad that has a lot of new faces in the ideal starting eleven, but will be encouraged by the first displays of the newcomers, as well as the input of Lucian Sanmartean, who stepped up immediately after Wesley’s departure and looks in great physical shape, orchestrating most of the attacks and causing panic with his excellent runs down the left flank. You can read more on FC Vaslui here. Lazio looking at Steaua’s Kapetanos. Looking for another Igli Tare? According to gsp.ro, Lazio is looking for a strong centre-forward and the Greek is on a very short list, as the cheapest option, around 2 million Euros. Kapetanos has been a top player for Steaua, coming as a free agent two years ago and proving indispensable, scoring 26 goals in 54 appearances in Liga I. He is yet to feature this season, as he missed a big part of this summer’s training, being involved in the World Cup, and also because Steaua’s ex-coach, Victor Piturca, wanted a different type of player as the lone striker. Things look different now, though, as Ilie Dumitrescu, the new trainer, said that Kapetanos is one of the team’s four vital players and, without a replacement, he’s hoping that the Greek can stay fit throughout this campaign. The player is expected to start his first game on Monday, when Steaua plays the newly promoted Victoria Branesti, while I expect the player to stay put, in case of a 2 million Euros offer, given Dumitrescu’s strategy and Gigi Becali’s desperation to keep the new coach happy. 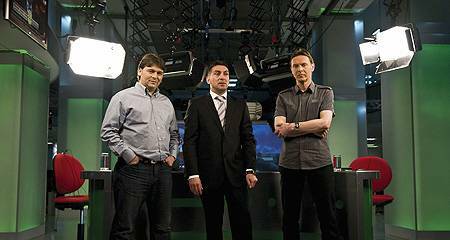 Becali’s improvising: Ilie Dumitrescu, who was initially asked to be the club’s president, is the new coach! Cristea scored a brace against Unirea Alba Iulia, after yet another waaay too selfish display (I’ve seen a dozen since media reports spoke about the player’s chances to move to Serie A, in the summer), and the two goals get him ahead of Kapetanos, ending, in my opinion, what has been an interesting and correct race for most of the season.